The Zary Mid Century Modern Side Table Walnut is designed to fit an array of specifically modern and contemporary homes. The walnut wood surface rests atop a silver finish frame, and works great as an end table or nested with a sofa. 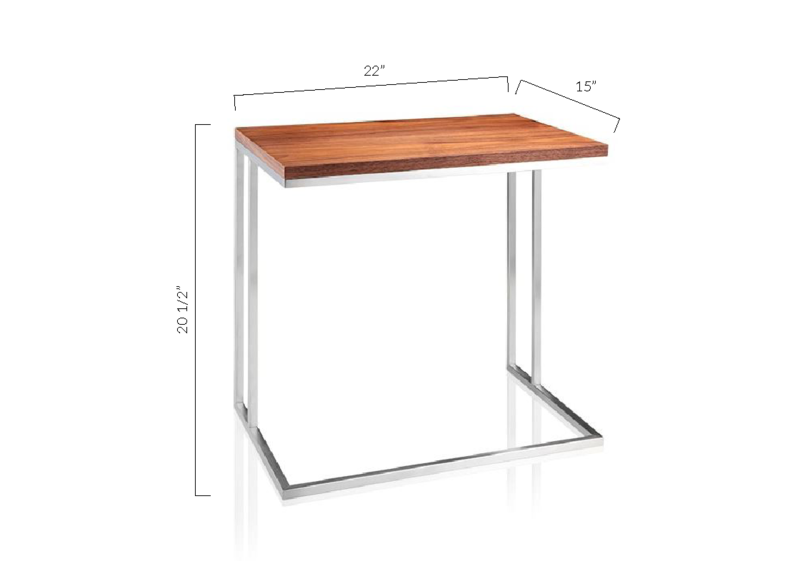 Its simple and clean design makes this table incredibly versatile, yet functional. The smooth architectural design of the Zary Table will provide any room with minimalist but modern detail. L: 22" * W: 15" * H: 20 1/2"